iMechanic was started back in 2010 when the iPhone 3G was the most popular device on the market. 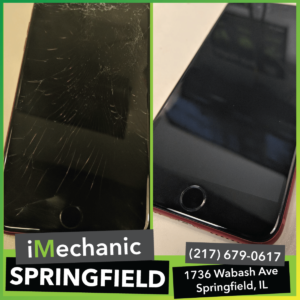 iMechanic Springfield fix phone has been around since 2018. We take pride in servicing Springfield iPhone repair & other Springfield Phone Repair. All of our repairs come with a lifetime warranty, a price match guarantee and almost all Springfield Cellphone Repair are done sameday. If you need high quality Springfield screen repair come in to our store located at 1736 Wabash Ave. Springfield, IL anytime. No appointment needed, but you can always book a dropoff, you’re always welcome! We Repair it All: iMechanic Springfield iPhone Repair, Cellphone Repair, iPad Repair & More! iMechanic is here for you! Having a cracked iPhone screen can get irritating to look at. However, no one wants to be without their device during an iphone repair. Here at iMechanic Springfield fix phone we understand that you can't be without your phone during a Springfield screen repair. iMechanic Springfield screen repair only takes 1 to 2 hours. Any Springfield iphone repair will only take two hours. So no worries! Have another device that is broken? We do much more than iphone repair! 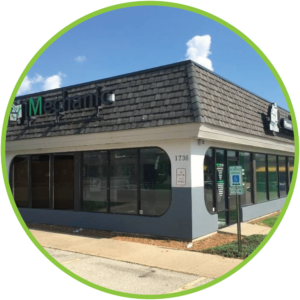 iMechanic technicians can fix anything: from a cracked iPad, to a rare Springfield cellphone repair, or a Macbook repair, even data recovery. That's why our slogan is We Repair it All! iMechanic Springfield fix phone is here for you from hardware to software. You are always welcome here at iMechanic Springfield, Illinois. We don't require a appointment. All you have to do is simply walk into our Springfield iPhone repair store and our technicians will fix your phone the same day. Common repairs take 1 to 2 hours! iPad repair and iPad screen repair typically take 4 to 6 hours. Don’t settle for a broken device let us fix phone. Get your cracked iPhone screen repaired today! All repairs receive a lifetime warranty and we always have the parts in stock. We do all cellphone repair, not just iPhone repair! We fix phone! If you need a samsung screen repair it works just like iPhone screen repair. We repair it all. 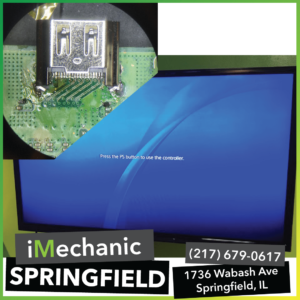 iMechanic Springfield cellphone repair is here to get your device back up and running. iPad Repair, Galaxy Tab Repair and any other tablet. We fix them all! iMechanic Springfield screen repair always comes with a lifetime warranty! Please tell me about the iMechanic Springfield Screen Repair Warranty. No problem, our iMechanic Springfield screen repair warranty is just like other iMechanic you have visited. Lifetime! That covers all part defects and if not we will fix phone for free, no questions asked. We won't even ask for a receipt. However, your iMechanic Springfielf phone repair warranty is voided is if the device has a cracked screen or waterdamaged, or jailbroken. Stop in today to our Springfield screen repair location! I need a Springfield phone repair where is the iMechanic Springfield cellphone Repair facility? We are located very conveniently at 1736 Wabash Ave in Springfield, Illinois. Bring your cellphone repair to us anytime. We are right off Wabash Ave right in front of Planet Fitness and across from Wingstop. You ca come in for a Springfield Cellphone Repair any time 10-7pm Monday-Friday and 10-5p on Saturday. Give our Springfield fix phone service a try today! How long does it take on iphone repair at iMechanic Springfield iPhone Repair? You are in luck! We will have your iphone repair done in 1-2 hours. We stock all parts for springfield cellphone repair. iPhone repair generally takes 1 hour. So don't worry you will have your phone repair done in no time! I plan on getting my iphone repair what is the cost for Springfield Fix Phone. Will iMechanic Springfield fix phone? iMechanic is the premier repair facility in Springfield, Illinois and across the midwest. We specialize in all electronic repair. Especially Springfield Phone repair and Springfield iPhone Repair. We only use high-quality parts. Whether it's an iPad repair, iPhone Repair, smartphone repair, cell phone repair, Samsung repair, or Mac Repair, we can fix! If not, we don't charge. Do you require a customer to schedule an appointment for iMechanic Springfield CellPhone Repair? No! We do not repair any appointments on iMechanic Springfield CellPhone repair.